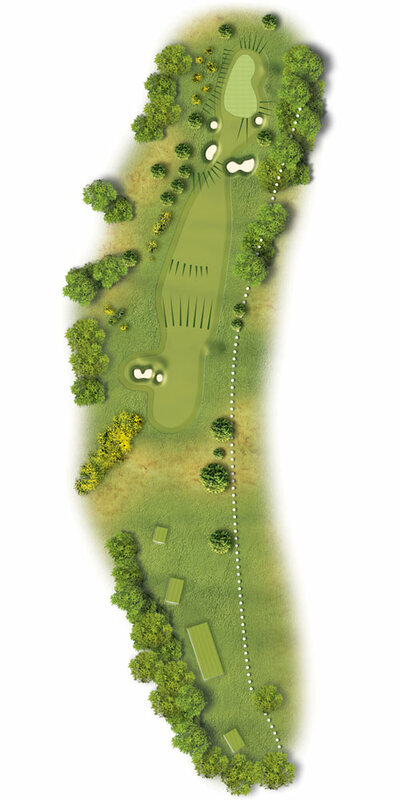 A difficult semi blind driving hole that requires positioning rather than length with a long iron/fairway wood. This will leave a short iron to the elevated green. A long green so take note of the flag position. Another long carry over rough aimed to avoid a set of bunkers on the left hand edge of the fairway. Take enough club with your next to avoid all the front bunkers.